Here’s a quick snippet of how to use the Cloud Vision API on App Engine. It’s pretty straight forward, the only tricky thing is making sure you set the Content-Type. Let’s Encrypt is a pretty awesome initiative to provide free SSL certificates to make creating a secure website easy. It comes with support for automatic installation on Apache and nginx, but requires some extra work for other servers. Here’s how to use it with App Engine. I used Google Cloud Shell to run these commands. This is an overview of a decompiler and a debugger I made in Flash a few years ago. This is mainly for my own reference. The disassembler takes binary data, and parses it according to the SWF spec. The SWF file format is very well documented by Adobe. SWFs are binary files consisting of a header and a series of tags. The header gives you some basic metadata such as the target Flash Player version and stage dimensions. Each tag contains a type, length, and data section. The type tells you how to parse it, and the length lets you verify you’ve parsed that tag correctly, or skip it without knowing anything about the contents. Following this guide will allow you to create an Elastic Load Balancer for a WebSocket application with support for SSL and the ability to read client IP addresses. Enable TCP forwarding on port 80. If you want to use SSL, you must also upload a certificate and forward port 443. You can only enable the proxy protocol through the command line SDK. 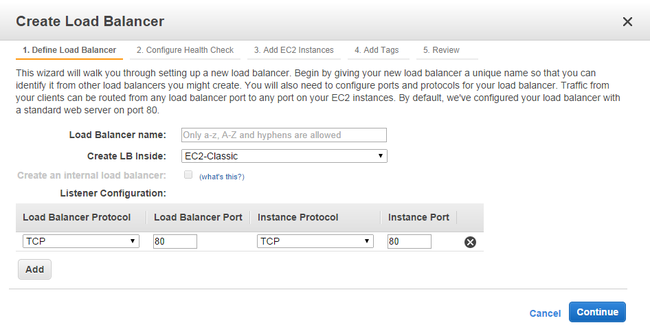 aws elb create-load-balancer-policy --load-balancer-name my-load-balancer --policy-name EnableProxyProtocol --policy-type-name ProxyProtocolPolicyType --policy-attributes "AttributeName=ProxyProtocol,AttributeValue=true"
Your nginx.conf should look something like this. By setting the X-Forwarded-For header to $proxy_protocol_addr, the WebSocket application will be able to get the client’s IP. There are a few things not covered in the official guide that I had to figure out on my own. Here is an example of the changes required for a mock application using namespaces, rooms, query strings, and a reverse proxy.